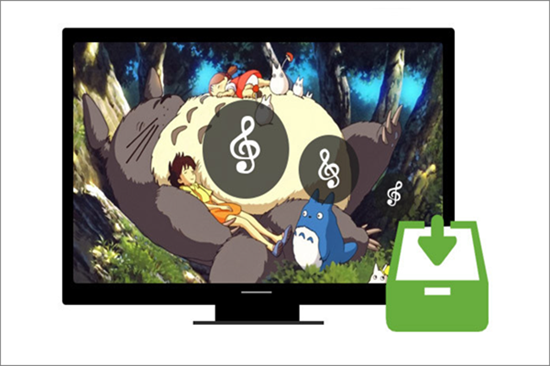 Home > Video and Audio Tips > How to Download Anime Background MP3 Music for Free? If you guys are fond of listening to anime MP3 album and want to download free anime openings and endings MP3 music offline for later playback, then in this article we will tell you about the best 5 anime MP3 download sites which will help you download your favorite anime MP3 OST by directly extracting them from the anime videos. And you can use these websites anytime you want for free. So, let’s get started with the list! Tip: If there indeed are some anime MP3 you can not find or download on these sites introduced below, you can turn to Jihosoft Video Converter because it can let you split one complete video into smaller clips, such as the opening and ending part of an anime. And then it can help you convert video to audio formats like MP3, M4A, WMA, WAV, AC3, so you can get anime openings and endings music downloaded. 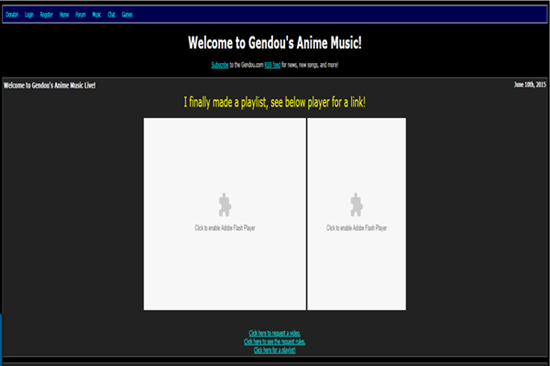 Gendou’s Anime Music website is the most popular website among users. This website has many channels such as Forum, Music, Radio, Chat, etc. But all these channels have only one similar theme – anime. You just need to register on this website to get started. After registering yourself, you can download any anime MP3 file from this website. 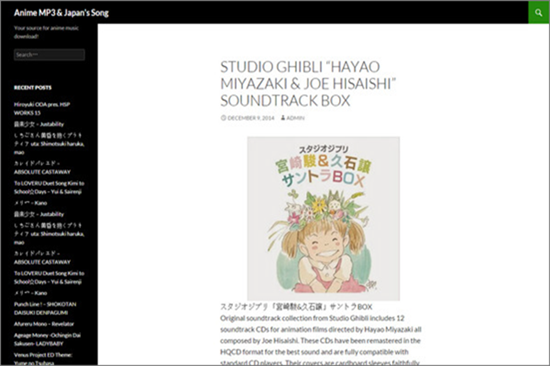 Besides, you can also upload anime MP3 songs to this site. The Hylia is also one of the best anime MP3 download sites from which you can download free anime MP3 music. This website has a total archive size of more than 10053 GB. You can search for an anime in the search bar and then right-click it and select the “Save as” option to download your desired anime MP3 songs directly on your PC. It is quite easy to use thanks to its user-friendly interface making it more popular among users. 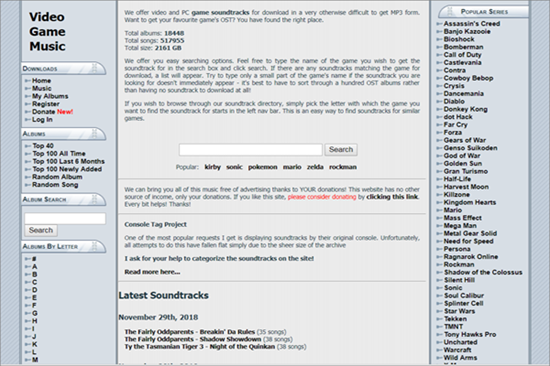 Strictly speaking, Video Game Music is not completely an anime MP3 download site. Instead it is a website used for downloading free game music. Fortunately, this website has a very vast collection of free anime music as well. All the anime MP3 music albums presented on this website are divided by letters. On the right side of the webpage, you can see a list of most popular albums there. You can scan or go through the whole list and then select your favorite anime MP3 music. Apart from this list, you can also search for your wanted free anime MP3 music in the search bar and then download them. 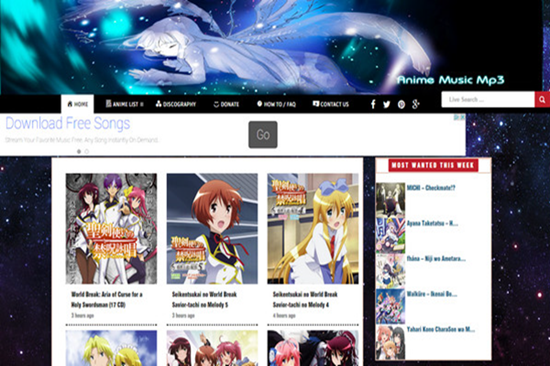 This anime music download site is also providing a variety of anime MP3 OST to its users. The uploading of new contents is very frequent so that you can easily find your desired anime MP3 music. The overall quality of this website is magnificent but there are still bugs disturbing you when the downloading is taking place. This anime MP3 download site has an ultimate collection of all anime and Japan’s songs. From this vast collection, you will definitely find anime MP3 music you are looking for. Whether it is an old one or a new one, you will find all the stuff there. There is a search bar presented in the top left of the homepage where you can input the name of anime MP3 music you like. Also you can find popular anime MP3 music as well on this website. After you download your wanted anime music with the anime music download websites above, you can also edit the information of it with the help of some free MP3 tag editors if you need! The article having been read here, I’m sure that you are an anime fan, then I guess you must also like cartoons. After all, cartoons and animations are never separated. You can read another article to learn the best 10 websites to watch cartoon and anime online free. So, we hope that you have gone through this list stated above and can soon download free anime MP3 music you like. Besides, if you have used any other anime MP3 download sites, then please let us know in the comment section below!